Future Music Festival Asia (FMFA), the annual music festival featuring local and international artists held in Kuala Lumpur, Malaysia is now moving its operations to Singapore! The Festival is scheduled to be held during 13th-14th March at Changi Exhibition Centre! 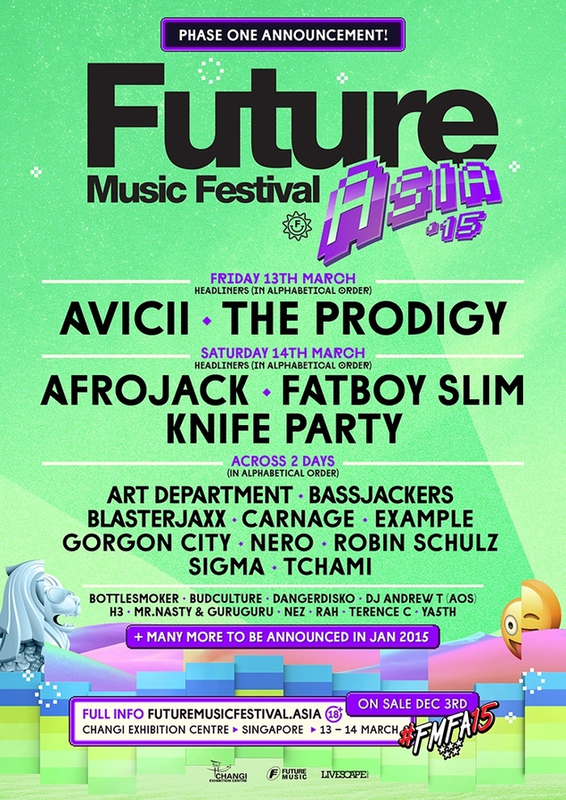 FMFA 2015 Phase one Line up boasts artists such as Avicii, Afrojack, Knife Party, Fatboy Slim among others! The Phase 2 Line up will be out by Jan 2015 untill then you can Stay Tuned & #EDMofy with us! Previous article Things you should know about Major Lazer & their India Tour!